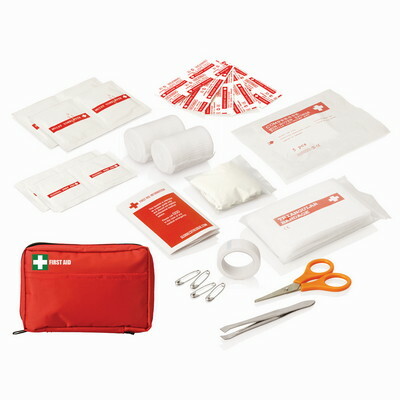 Stay prepared with this 30 piece promotional first aid kit. Holding a range of first aid items within its durable polyester interior, this carry pouch design kit will always be on hand with your logo to the fore. Colours: Red. Decoration Method: Pad Print. Decoration Area: Print: 100 x 30mm. Packaging: Bulk.